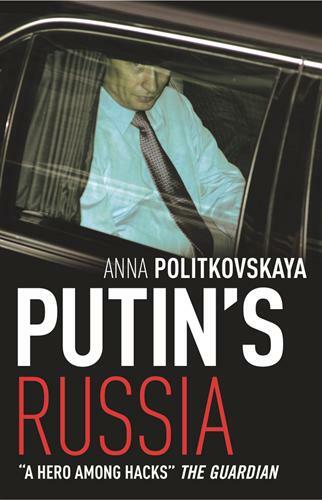 Vilhelm Konnander's weblog: Politkovskaya on "Putin's Russia"
Excellent and well written review. I'm not sure if it compels me to read the book, however. Very interesting observation about soviet journalism style telling the reader what to think. I had often noticed this in Russian and CIS newspapers - news stories often read like what I expect an opinion column to say here in the US. Ideas or conceptions are given as facts, there is very little citation of figures or sources. The opposing viewpoint is very rarely part of the article. In politics here in the US, it is almost unheard of for Bush to give a speech and statement without counterpoints made by Democrats, and reinforced points made by fellow Republicans. When I try to discuss this topic with native Russians, I'm often met with resistance or misunderstanding of what I am trying to point out. I was glad to see that another set of eyes had noticed this pattern, and had a specific source for its origins. As we are almost certain to get a comment pointing to the concept of "sobornost" or something similar, I hasten to point this out myself. Sources of Slavic or Russian traditions of unanimity and intolerance to dissent are as unclear as they are many. I have my own views on this matter, which I am not going to bore you with now. What is interesting with Politkovskaya is her clear identity as a dissident truth-teller that still is so Russian in that she simply cannot let people make up their own minds. In the same way as Putin is the power in Russia, she is the authority on Putin. This makes one think it all over once more when looking at Politkovskaya. Is she an advocate of liberal democracy? If so, mustn't she herself live up to those ideals, e.g. in founding her accusations against Putin? On reading Politkovskaya, I would still recommend it for you. It is fascinating, though one must mind oneself not to fall into the pit of leaving ones critical mind aside. I may be completely off here, but I believe that Politkovskaya was the reporter poisoned on her flight to Beslan during the tragedy. I don't know how it was resolved, but it certainly shook me at the time. I was in St. Petes when this all happened and we heard the news on Radio Svoboda. No, you are not the least off. It is very likely that Politkovskaya really got poisoned - probably by the security service (FSB) - on her way to mediate in the Beslan hostage crisis. As far as I remember, she got a cup of tea with something fishy in it, and afterwards collapsed and was brought to hospital. The inexplicable poisoning was just enough to hinder her from going to Beslan. It is obvious that someone did not want her there, as was also the case with some other representatives of the press.